Today, our hectic, nonstop lives have left your drawing room as well as your dining room for nothing but formal events and occasions. Gone are the days when people would make the dining area cozy and warm and comfortable. Today people just shut up their precious dining rooms and prefer to eat in the kitchen or lying on the sofas. Decorating your dining area can be a very daunting and intimidating task and can send even professionals into a nervous state for days. Some people want their dining areas to be in dark colors whereas others would love to have brightness rule throughout their house. Finalizing your choice and making the perfect decision can be confusing. 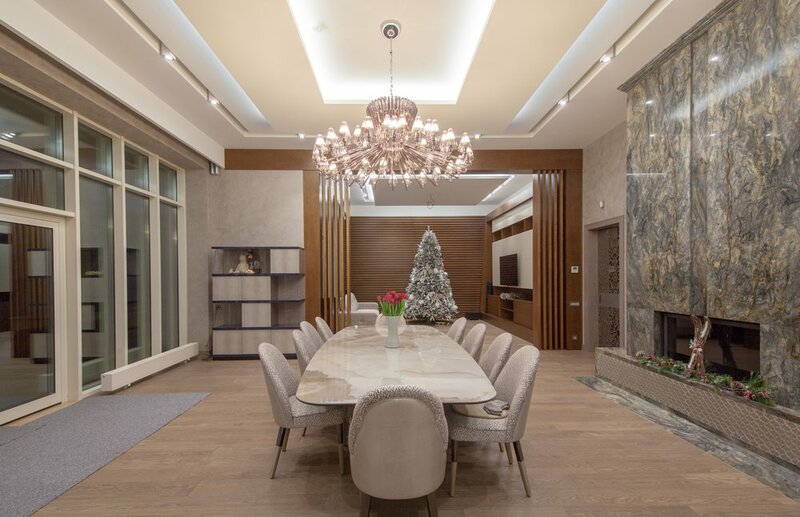 It is important to bear in mind that if you have a huge family or you are habitually entertaining a great number of guests and visitors, then it would be both wise and prudent to buy a large dining table that can seat quite a number of people in, for instance the case of a dinner party. When selecting an appropriate size in a large extendable dining table that will prove to be a real asset, you must monitor your surroundings meticulously and carefully evaluate everything.